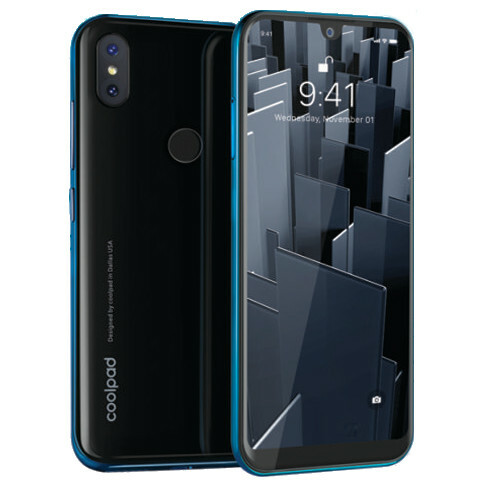 Coolpad has launched its budget smartphone, Coolpad Cool 3 with Dewdrop Notch display and running on the latest Android 9.0 Pie OS. This phone is priced Rs. 5,999 and comes in in 4 Gradient colors of Midnight Blue, Ruby Black, Ocean Indigo & Teal Green. This phone will be available shortly both online and offline in India. On the specifications front, Coolpad Cool 3 sports a 5.71 inch (1520 x 720 pixels) HD+ display having Dewdrop Notch. It is powered by 1.3GHz Octa-core Unisoc processor combined with 2GB RAM and 16GB of internal storage which can be extended up to 128GB with microSD card. It is packed with 3000mAh battery. This is Dual SIM phone and comes with two security features – fingerprint sensor on the back and Face Unlock which can be used even in low light as claimed by the company. This phone runs on the latest Android 9.0 Pie OS. For imaging this phone is equipped with dual rear camera setup of 8MP and 0.3 MP. For selfies it has 5MP front camera with multiple beauty levels. For connectivity, this phone offers connectivity options of 4G VoLTE, Wi-Fi 802.11 b/g/n, Bluetooth 4.1 and GPS etc.